#1 Reason I live in Salt Lake City!! Outdoor Recreation Opportunities just outside your Door! Views of Sandy Homes and Draper Real Estate! So the weather is fabulous in Salt Lake City, Ut. I was able to take my favorite clientale out to look at DRAPER AND SANDY REAL ESTATE that is not for sale. The Views from this Property are incredible. Trailhead parking is located just off Wasacth Blvd in Sandy, Ut Sunday afternoon hike up Bell's Canyon. Steep grade and poor footing first 3/4 mile. then fantastic views and Bell Canyon Reservoir. 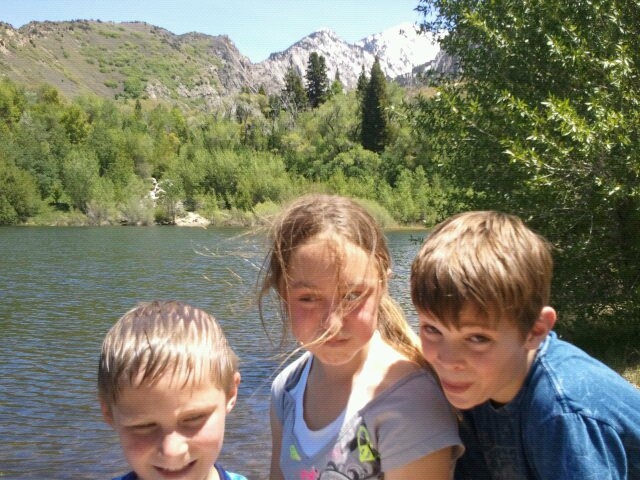 My Kids Triston, Cora, And my nephew River on the way up the slope. Notice the snow capped peaks. 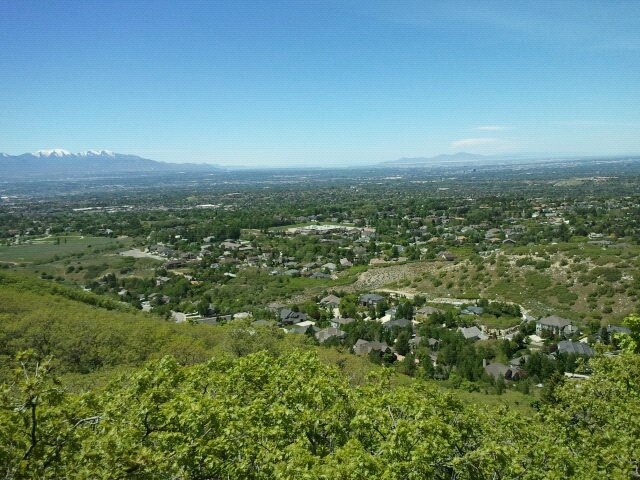 The Wasatch Mountains are beautiful and one of the many benefits of living in Salt Lake City. This is why I Love the Sandy/Draper area. 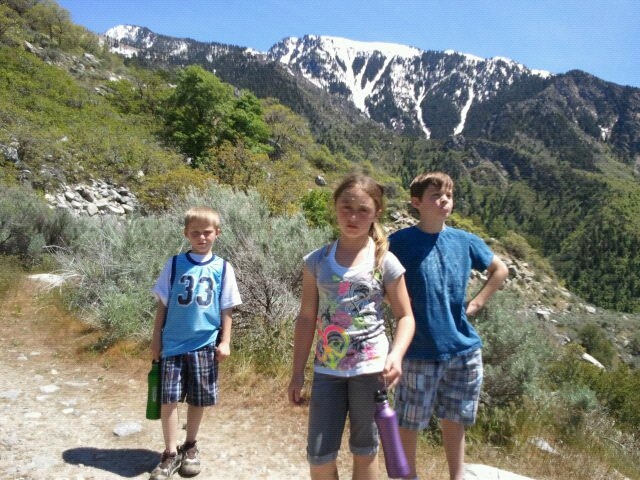 Access to trails like Bell's Canyon in Sandy and Corner Canyon in Draper. 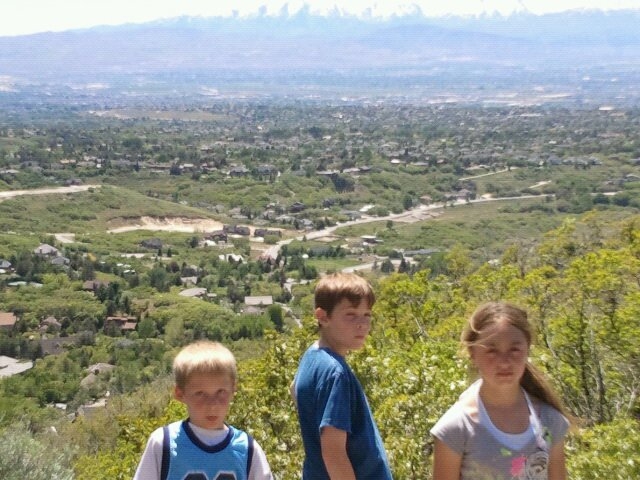 Living in Salt Lake Valley close to the Mountains allows me many opportunities to teach my children to enjoy and appreciate this beautiful country. Access to Canyons, Rivers, Public and Forest service lands are made Easy with trails from all over Salt Lake City, Holladay, Millcreek, Sandy, Cottonwood Heights and Draper. THIS IS MY TOWN AND I LOVE WHAT I'M SELLING!! Looking down upon some fine DRAPER REAL ESTATE directly below and strecthing south into Utah County, Homes in SOUTH JORDAN to the right and across the valley Homes in Herriman can be seen beneath the snowy peaks. This trail continues for a few miles before coming to the most impressive Waterfalls over looking the entire Salt Lake Valley. We Didn't make it all the way today as the trail is quite muddy and we ran out of time. Still a fantastic way to spend the afternoon and a relief to the long awaited spring weather.